Famus Turkish actress Hazal Kaya got married to Turkish director Ali Atay, the couple has been together for 5 years, and got married on February 6th 2019. The couple got married at one of Istanbul's top hotels the Fairmont Quasar. 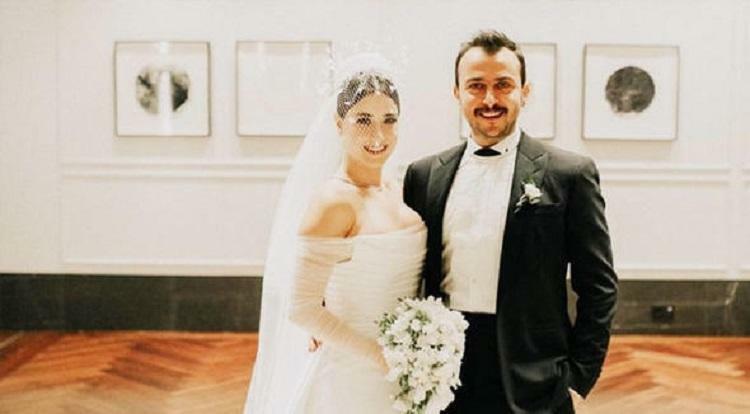 The bride wore an elegant off shoulder dress and a birdcage veil, Hazal Kaya shared some pictures of the wedding and her bachelorette party on her Instagram account. The couple celebrated their wedding surrounded by their friends and families. According to reports, Hazal planned the entire wedding, as her groom was busy and travelled a lot.